This offer is for this lovely and wonderful ANTIQUE handwoven and hand-loomed hemp linen and woll warb roll. These fabrics were made around in 1900-1909. This amazing roll measures 4.37 yards by 20.87 inches. This fabulous roll measures 4 meter by 53 cm. 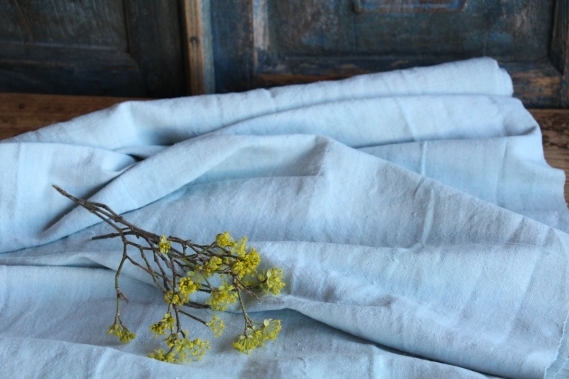 CLASSY and ELEGANT looking texture, this handmade linen is extremely durable, wonderful for a GUSTAVIAN styled room. 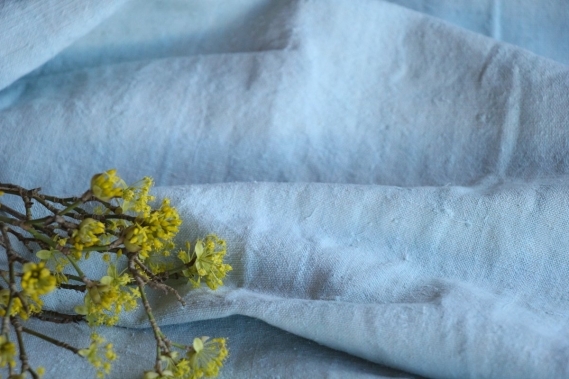 We have carefully dyed this roll with an awesome HEAVEN BLUE color, which LOOKS SO AMAZING, this is really a treasure. It feels so soft as well because we have dumble tried it too....soo unique; WHAT AN AMAZING CHOICE FOR CURTAINS. !!! !PLEASE NOTE: WE HAVE WASHED THIS ROLL TWICE TIMES; AND THAN WE HAVE DYED IT WITH AN ORGANIC COLOR --- WHAT A STUNNING PIECE OF FABRIC - PLEASE WASH IT SEPERATLY; BECAUSE OF THE DANGER OF COLORING!!!! 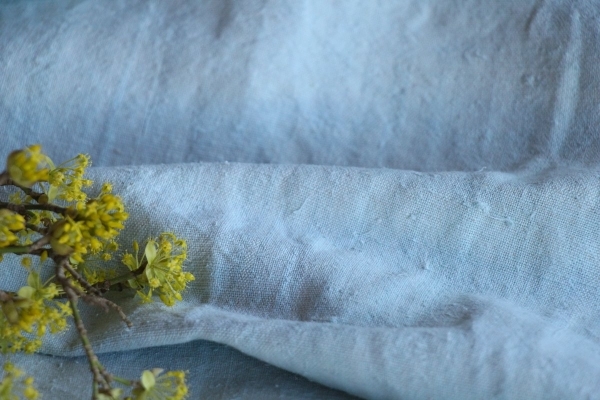 This roll is just ADORABLE, it is flexible, so it would be a perfect choice for upholstering projects too. 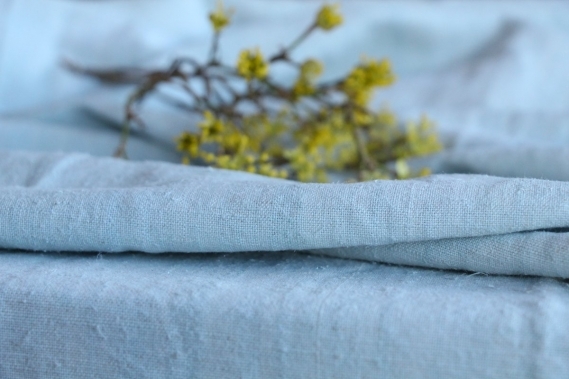 With such antique linen, you could create so lovely and personal gifts for your friends and yourself, you can even embroider it with monograms. 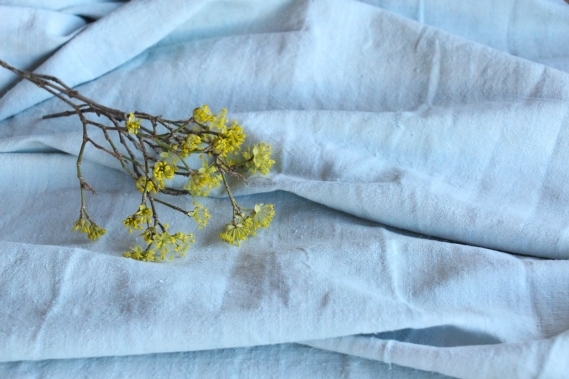 All are wonderful pieces of textile folk art, all linen and grain sacks are 100% biological and organic, completely free from chemical substances. 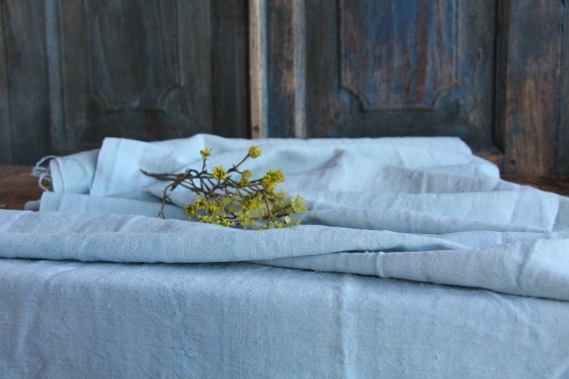 Antique linen and grain sacks give so much warmth to each room and make so homely. You can take it for clothing, bedding, bags, curtains, napkins, pillows, slipcovers, tablecloths... 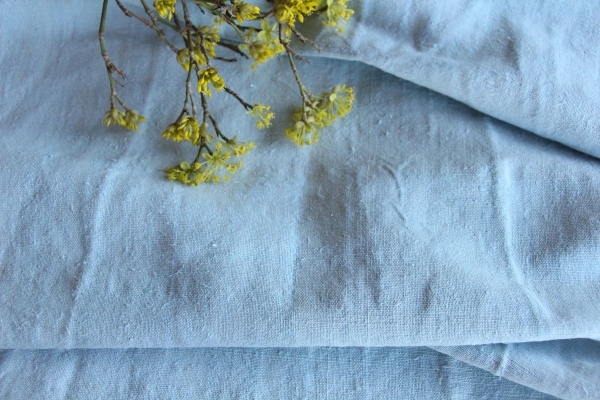 Such wonderful hemp linen is also perfect for making fantastic towels, mats, and rugs, it is so durable - its lovely to work with - with a little bit of phantasy, you can create so wonderful things!!! 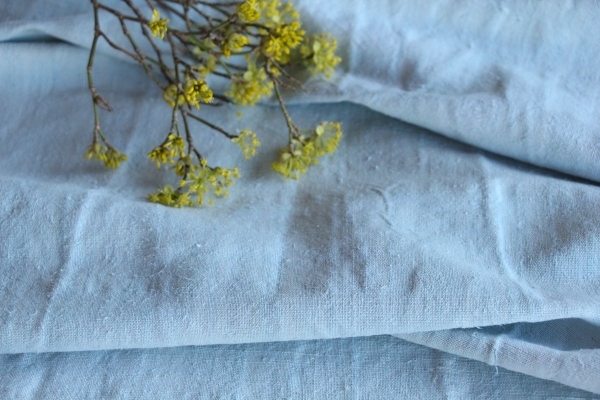 You can wash such antique fabric with 60 degrees, and it will not shrink, we add ever some softener, so the ironing becomes easier. If you have any questions, don ́t hesitate to contact us, We are looking forward to helping you. 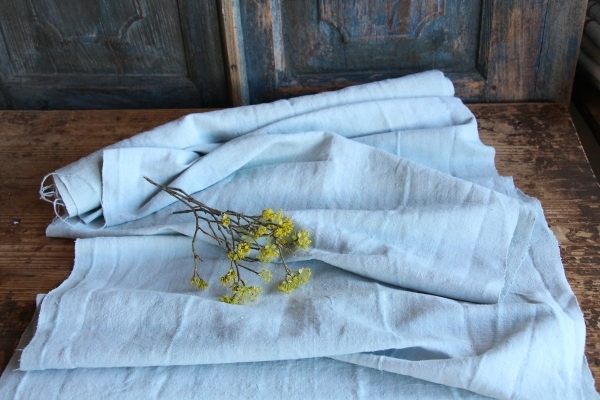 We are so happy about your interest in our antique and handmade linen rolls and grain sacks. Welcome to our world of unique and changeless antique textile treasures. We are so thankful, that you are having time to look at our shop.